Transportation is a vital part of the school system. The first school experience of the day for most children is the school bus ride. Bath bus drivers are very conscientious for the safety of the students they transport. If we transport a kindergarten student every day from his first day of school till the last day before he graduates, we will transport that student approximately 4,700 times. Many students have the same bus driver for all 13 years. School bus drivers are trained professionals. They go through extensive training to obtain a CDL bus driver endorsement on their driver’s license. 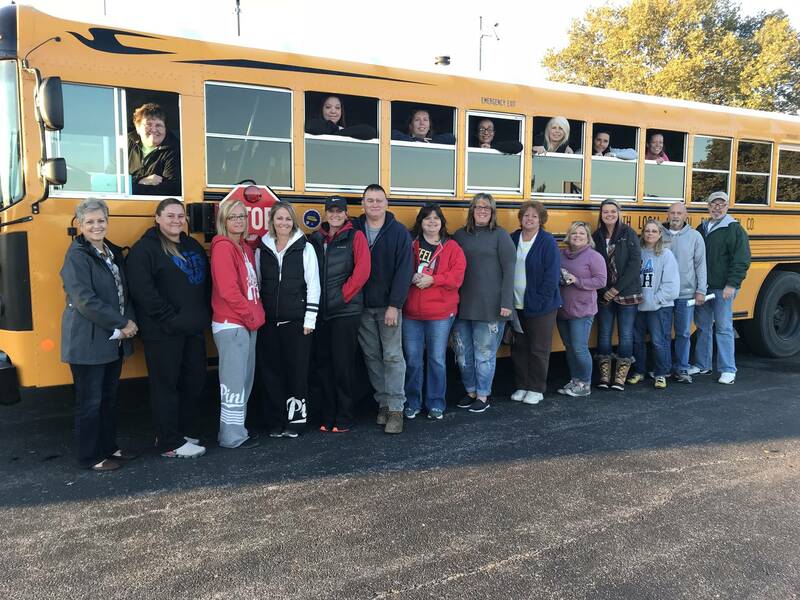 Bus driver requirements include 16 hours of class room training, 18-22 hours of on-the-bus training with a certified On-Bus Instructor, a driving record from the Bureau of Motor Vehicles, an Ohio State Bureau of Criminal Investigation & FBI background check, a physical by the Board approved medical physician, drug testing, and extensive driving tests by the State of Ohio. In addition, drivers are required to attend four hours of in-service annually and re-certification training every six years. I cannot see my child's bus stop from the house. Are there state laws that set the standards for bus stop locations? Answer: Students in Ohio may be assigned to a bus stop up to one-half mile from their home. The law does not require a parent to be able to see the bus stop from home. We encourage parents to accompany their child to the bus stop whenever possible. This teaches the child safe habits of walking to and from the bus stop and may give the parent peace of mind. Bus stop locations are determined yearly by the Transportation Supervisor with input from the Bus Drivers. Bus Stops are then approved by the Board of Education. Can I have my child wait inside of the car or the house until the bus is at the stop? Answer: No, Ohio law requires children to be waiting at the bus stop prior to the arrival of the school bus. We recommend 5 minutes prior to the scheduled arrival time of the bus. Bus drivers are required to count the students at the bus stop as they approach the bus stop, they load and re-count the students as they get on the bus to ensure all children are safely on board. If students are not waiting at the bus stop the bus driver cannot count them and cannot be certain the students are all safely on the bus. Waiting at the bus stop before the bus arrives further ensures that no students chase after the bus - this is a very dangerous thing to do. Bus drivers are not required to stop at locations where no students are waiting. Bath currently transports over 1,500 students, runs 72 routes a day, and covers over 1100 miles each day. We currently have 19 regular bus drivers. Should you have any questions about Bath transportation please feel free to contact me.